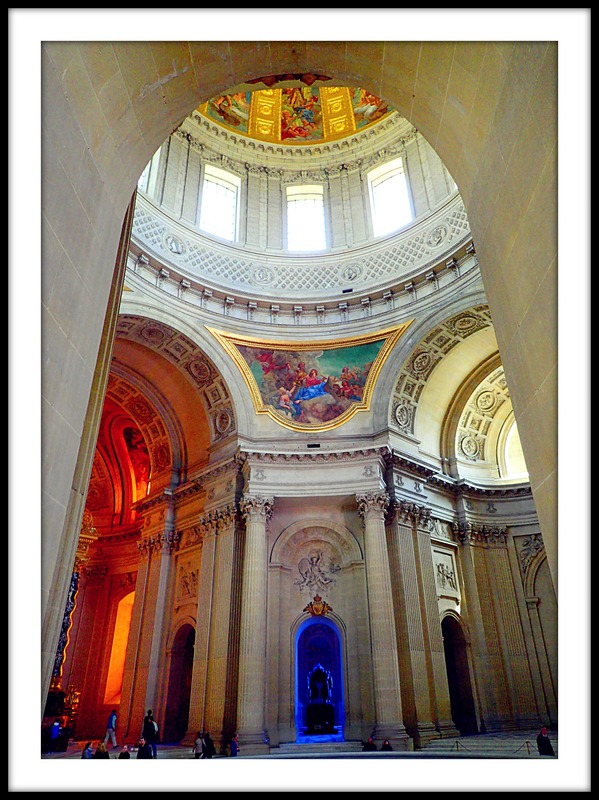 I must tell you that it was a pleasure to be back behind the lens and shot Les Invalides both from inside and outside. 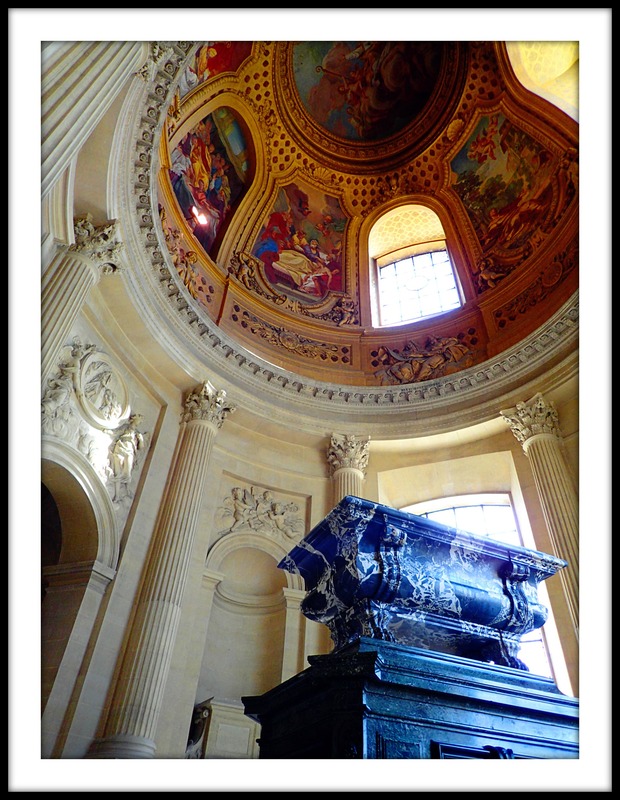 The twenty something pictures that I am sharing with you are revealing the beauty of this historical landmark where several France’s war heroes rest in peace. 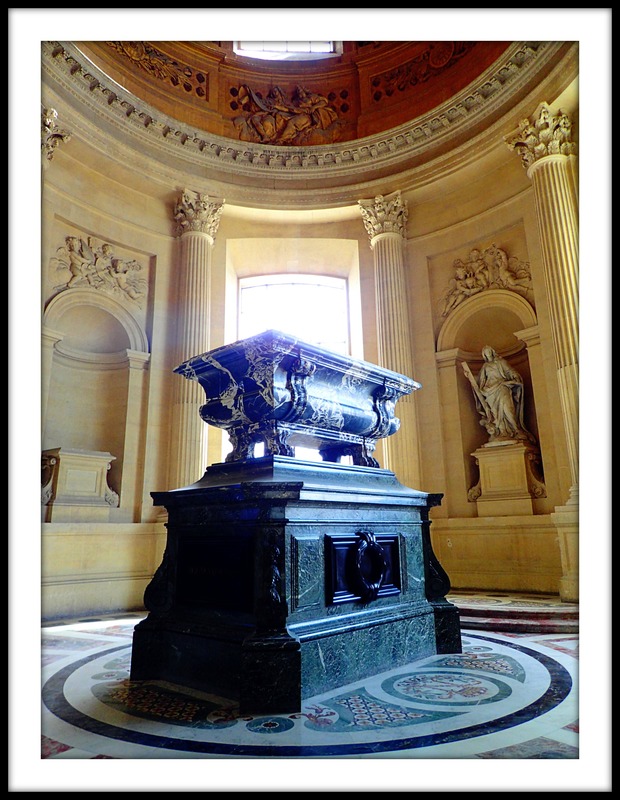 I photographed the tombs of Napoleon Bonaparte and his brother Joseph, since their burial sites are the most eye-catching. 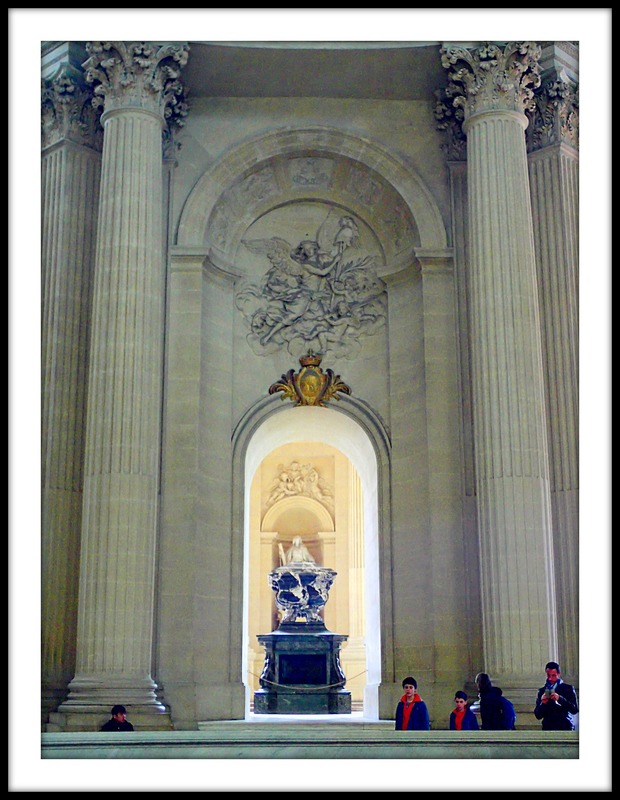 In the pictures, the first tomb you see is Joseph Bonaparte’s which is actually situated on the left when you walk into the building. 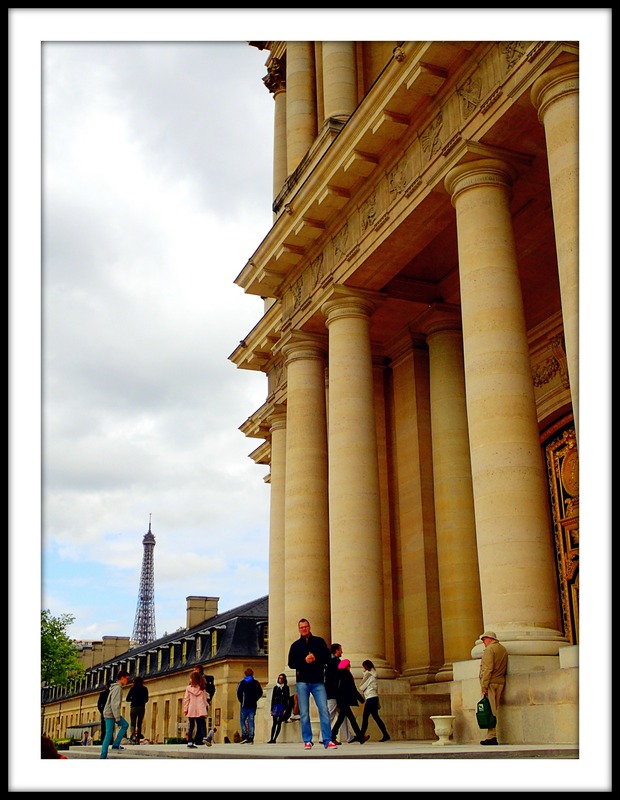 But let’s start from the beginning and go over the pictures one by one. 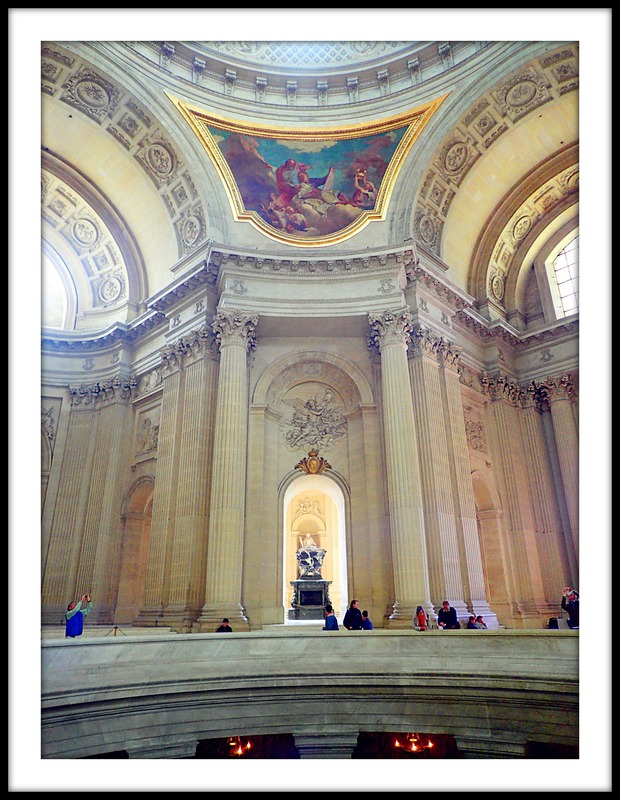 The very first picture shows Mansart’s dome that is shining like a diamond under the sun but you can’t see it on the picture as the clouds spoiled it all. 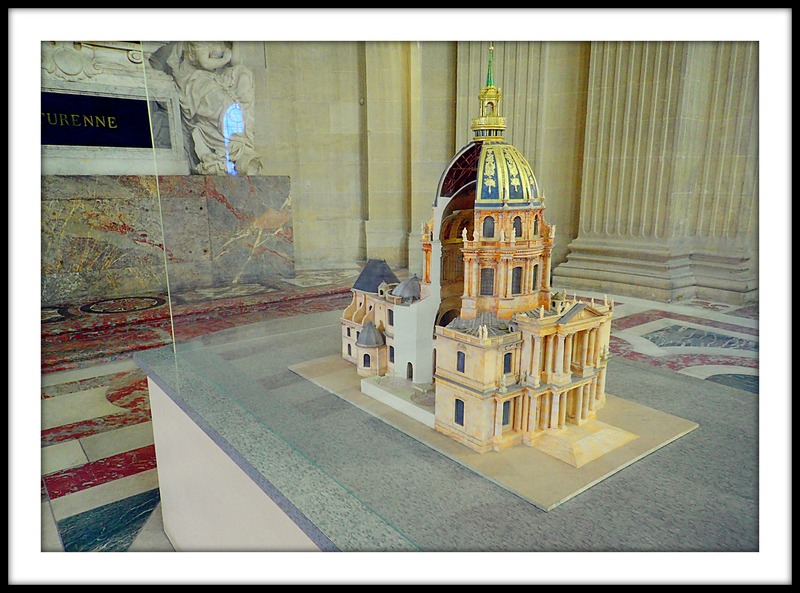 You might have also noticed that a picture of the entire building is missing. 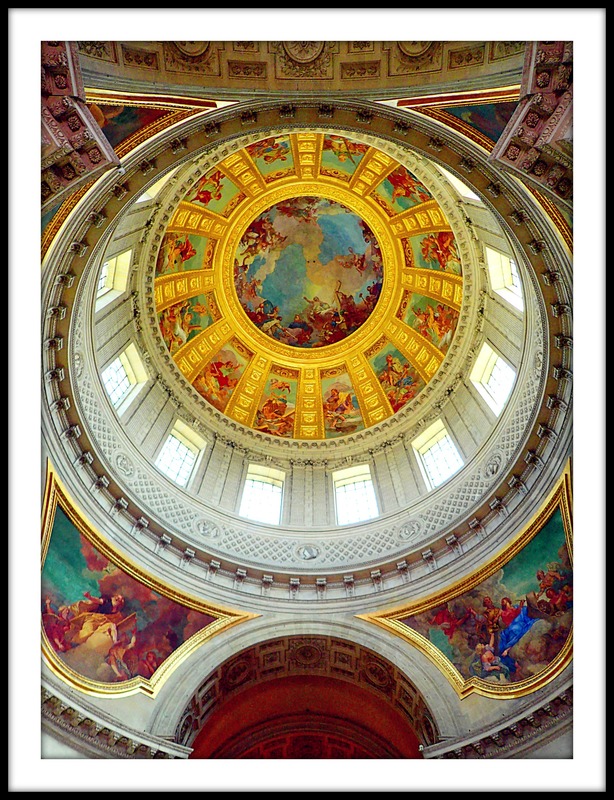 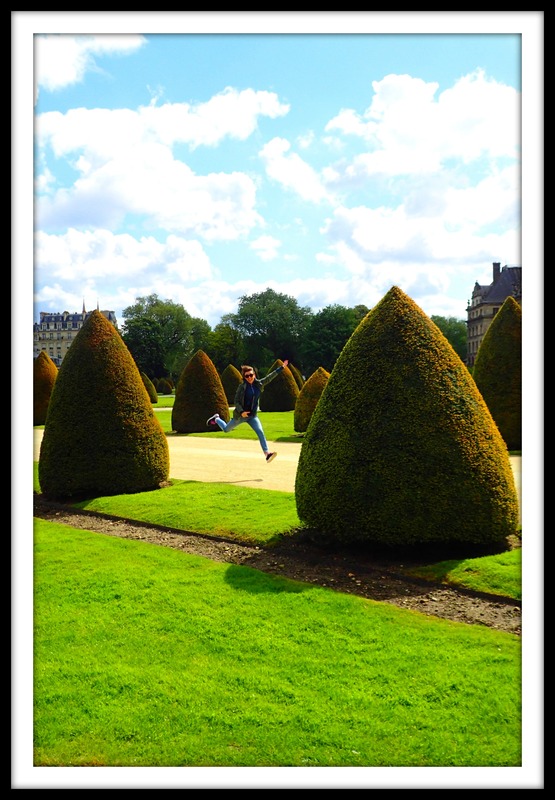 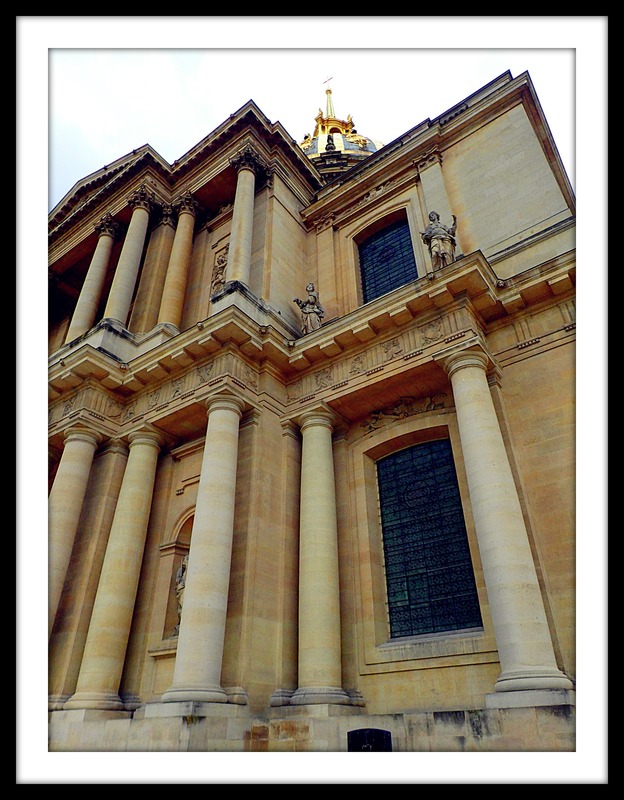 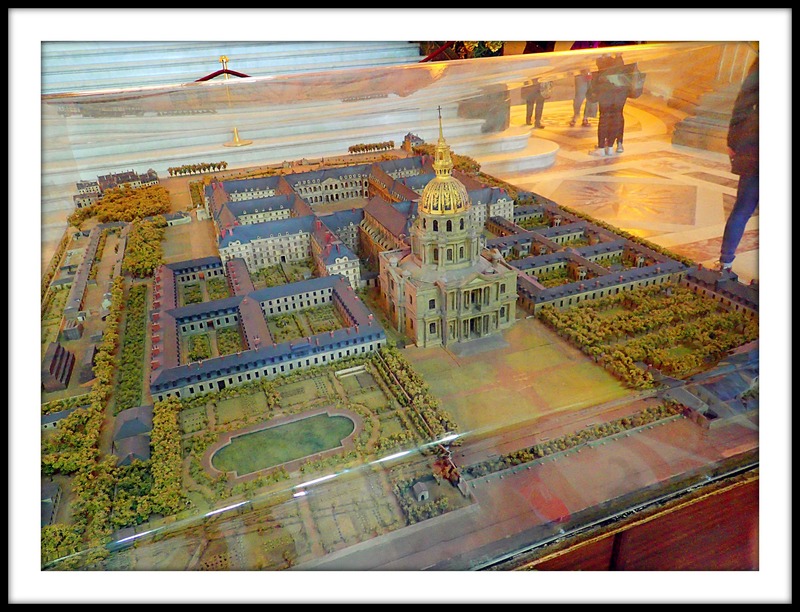 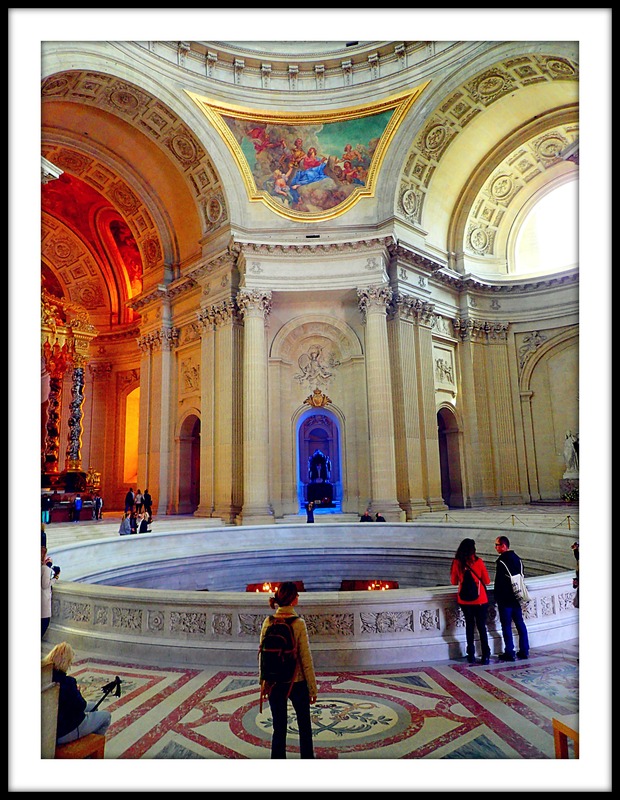 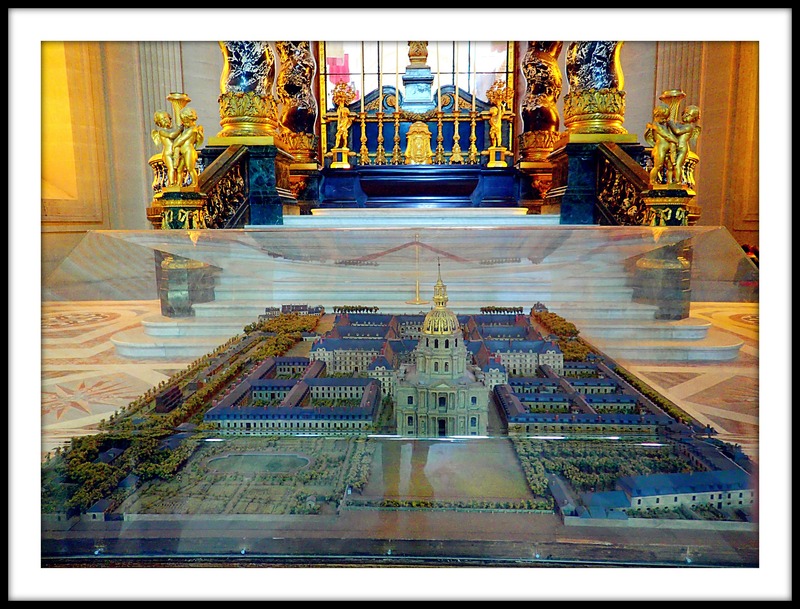 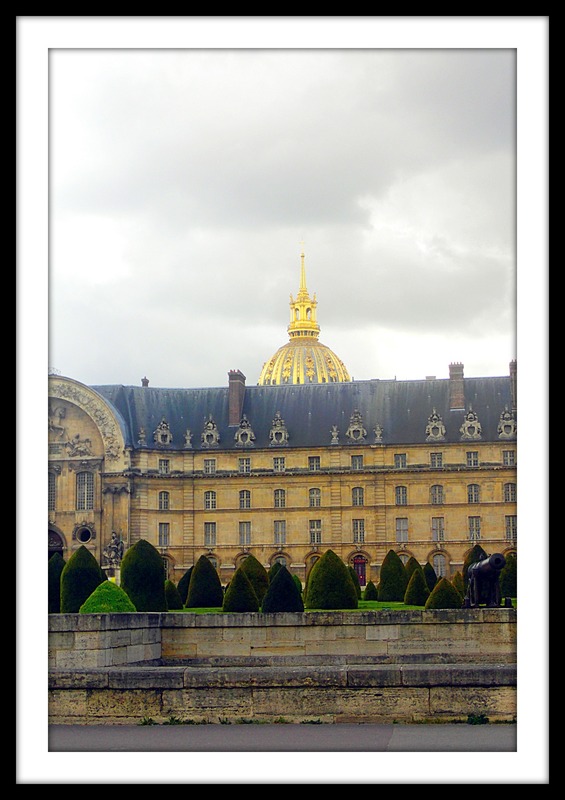 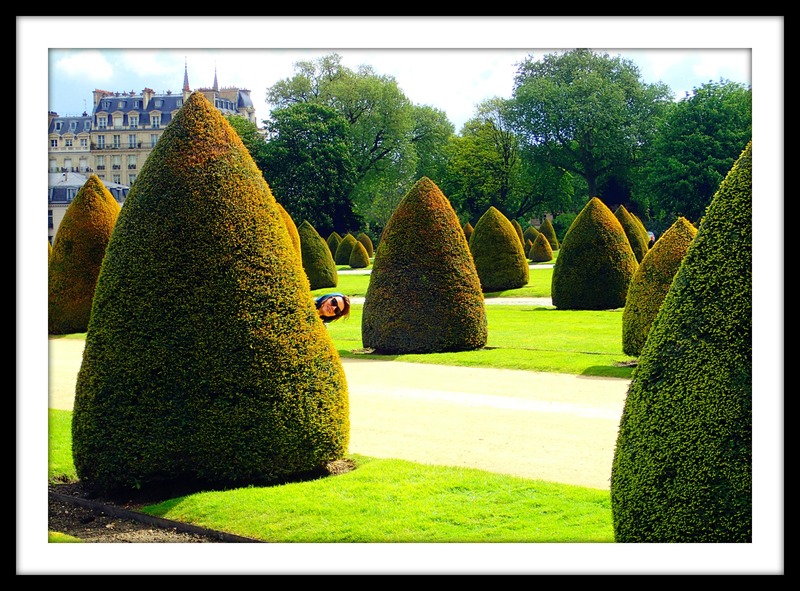 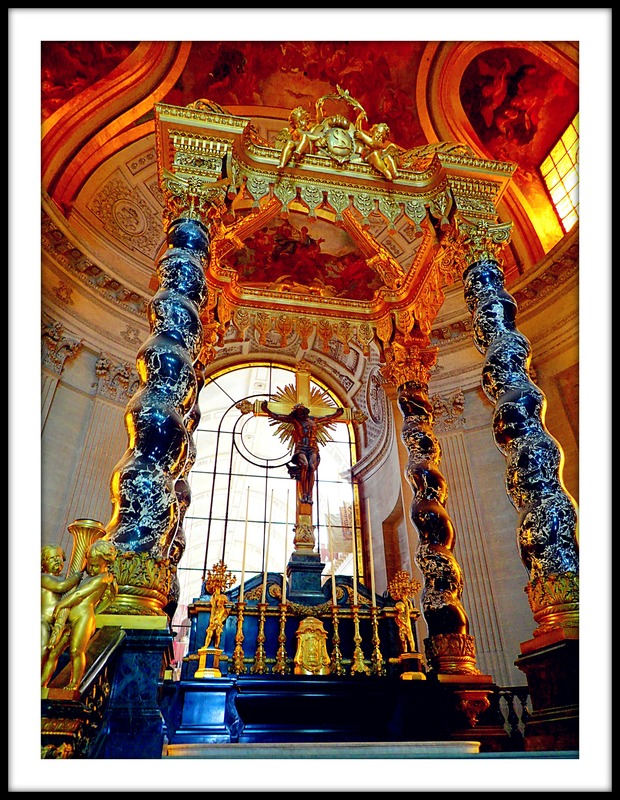 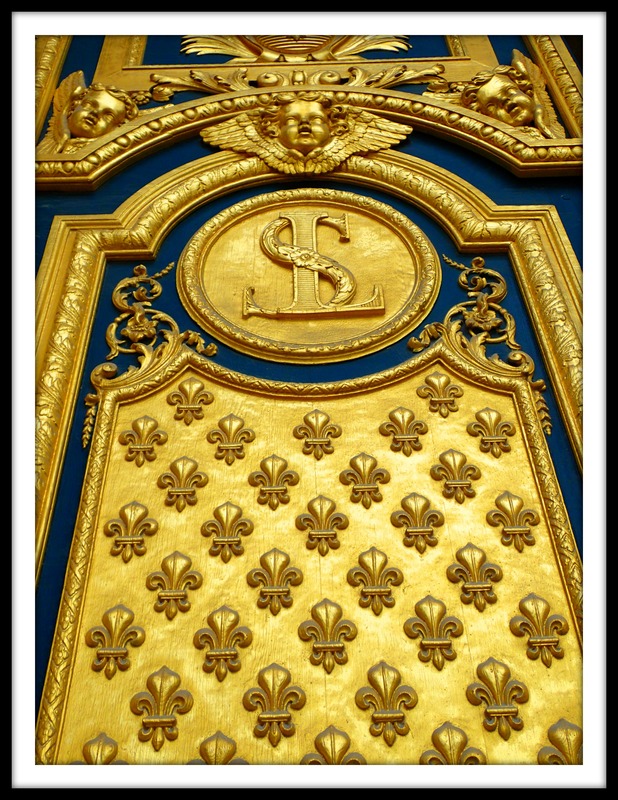 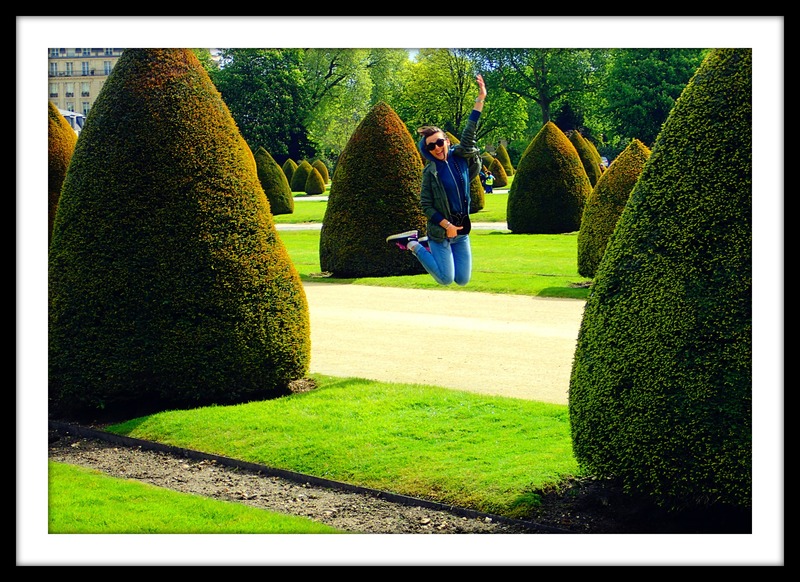 The reason why I haven’t published it here is because my husband is on it and I respect his decision not to appear on my blog, but if you are curious you should check out the pictures of Les Invalides available on the internet, they are gorgeous! 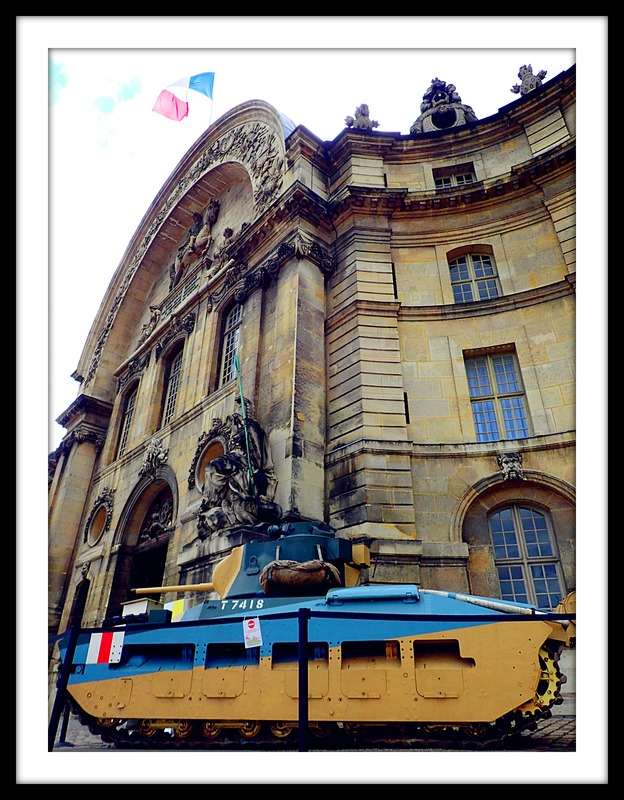 The picture with the tank is the last picture taken at the entrance of Les Invalides but the next ones have been taken back side of the building where the Eiffel Tower appears on the right side this time. 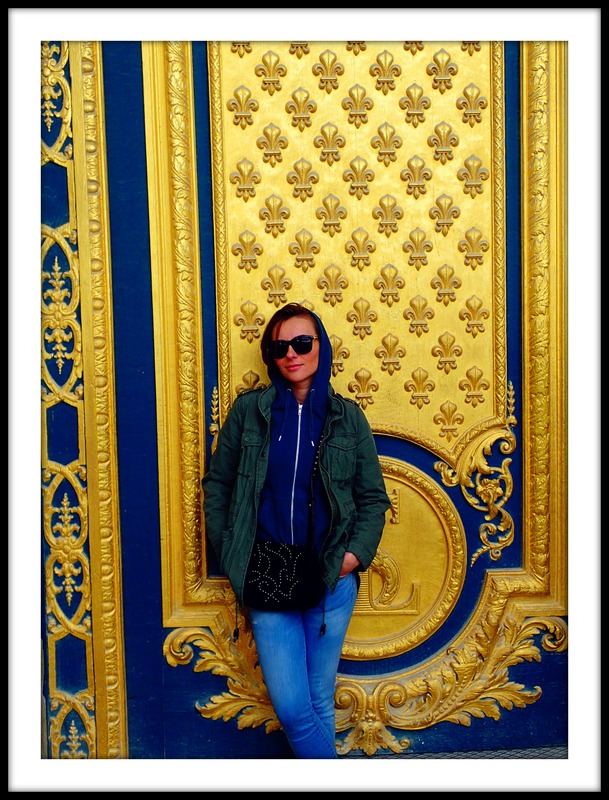 Then I appear in front of the gorgeous door where people were kind of waiting in line to snap it. 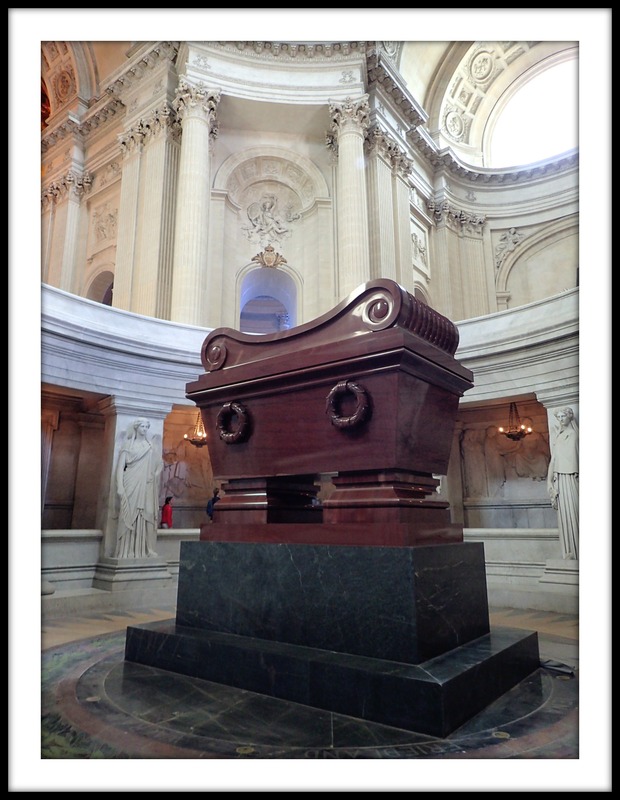 The following pictures are from inside and as I have mentioned it before, Napoleon Bonaparte’s tomb is in the last picture that I couldn’t caught on camera from the top as an ugly ladder next to the tomb was ruining my pic. 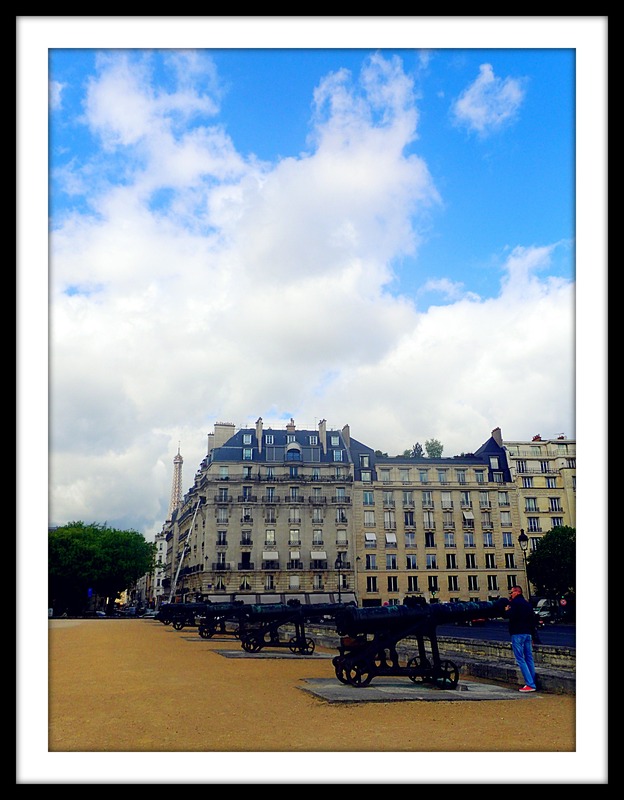 Hope you will like my post and come back tomorrow if you want to see a few pictures of the Eiffel Tower under the Sun.